What a way to end the season! 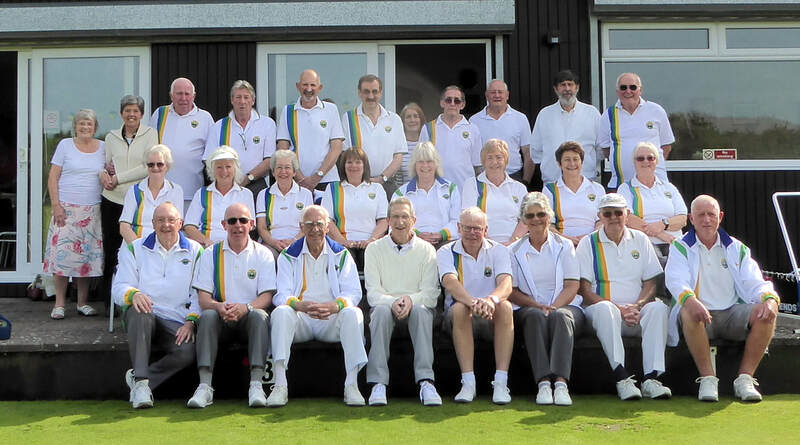 A glorious afternoon, a cup of tea at 8 ends, games played in great company followed by a buffet with lots of cake and Captain Sue's best joke of the season! For more of the same be sure and join us next year. Bottom Right - You don't get many 'heads' like this! Nor white woods like those! Make a Date in your Diary- Thursday 28th September, 9am start -all hands needed on the green to apply top dressing and 'Put the green to bed' for this year. 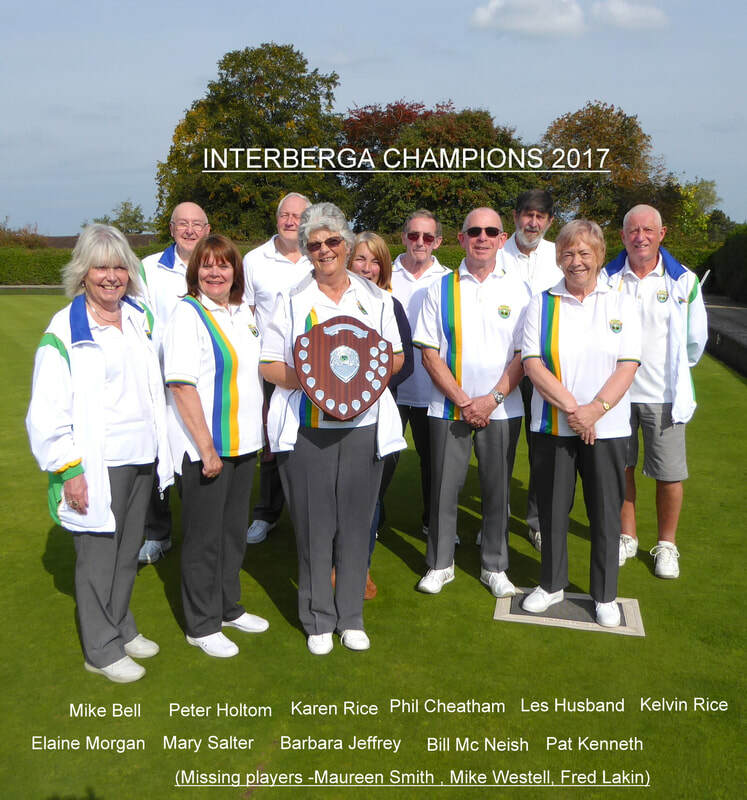 Barbara Jeffrey is presented with the Interberga League winners trophy by Tony Lamare. 29th August 2017....Entaco win interberga league. by the narrowest of margins we held on to our lead at the top of the league to be crowned 2017 champions. 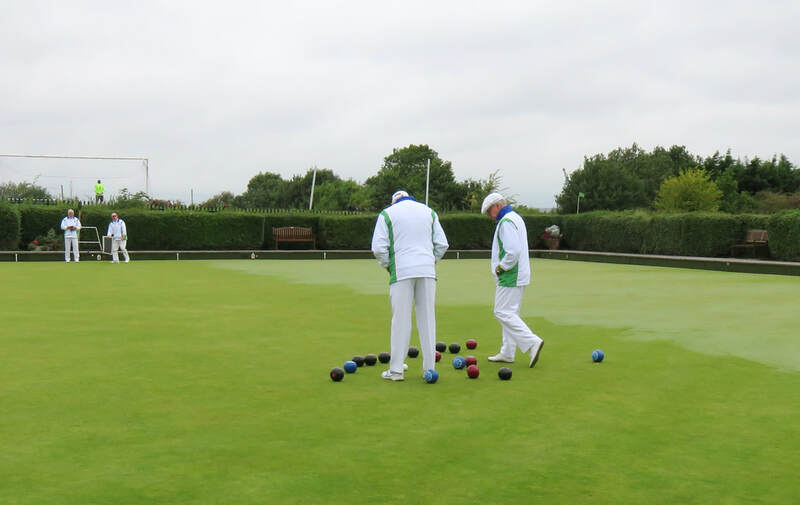 Entaco remain in the Redditch triples league, division one for another season . well done to all who played and supported. a fine season and a creditable number of points to finish fifth. On the warm sunny afternoon of Wednesday 5 July 2017 the final event in the Club's Schools Programme took place. 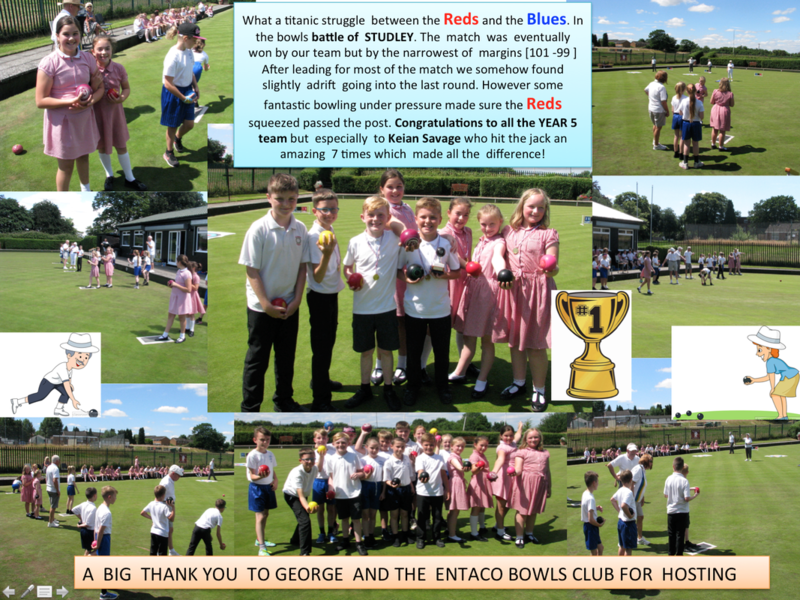 It was the much-awaited match between the Red Team from St. Mary's Primary School against the Blue Team from St.Mary's Academy. 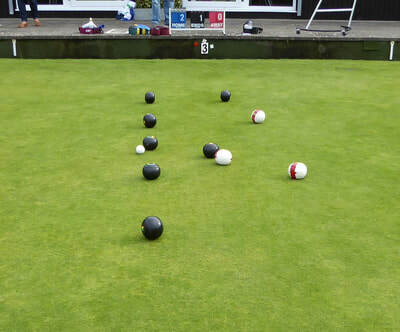 The format was two teams of eight pupils getting two shots each at four targets (at differing lengths) and then having a second round at the same targets. At the halfway point the Reds had what appeared to be an unassailable lead, buoyed on by support from their classmates, but the Blues rallied in the second half and the end result was very close! The Reds from St. Mary's Catholic Primary school became the first holders of the trophy by the narrowest margin of 101 points to 99!! The three afternoon sessions and the match were much enjoyed by year 5 pupils and the feedback from the schools was very positive – so much so, that I feel we must put it in our programme for next year! Some of the youngsters showed real talent and style, so hopefully a seed has been planted in their mind? I would like to thank all the Members who helped in the running of the four sessions and hope that the Membership gives their support for next year's School Visits. 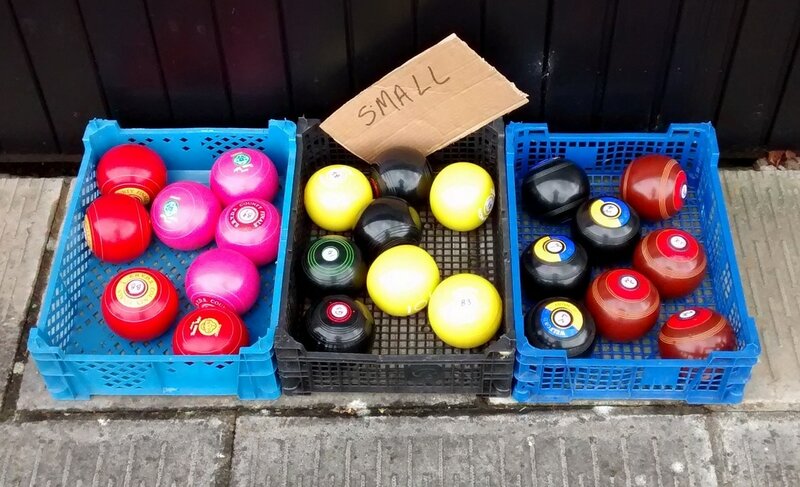 Also thanks to Bromsgrove IBC, Welford BC and Pershore Bowls Centre for the loan of smaller bowls. 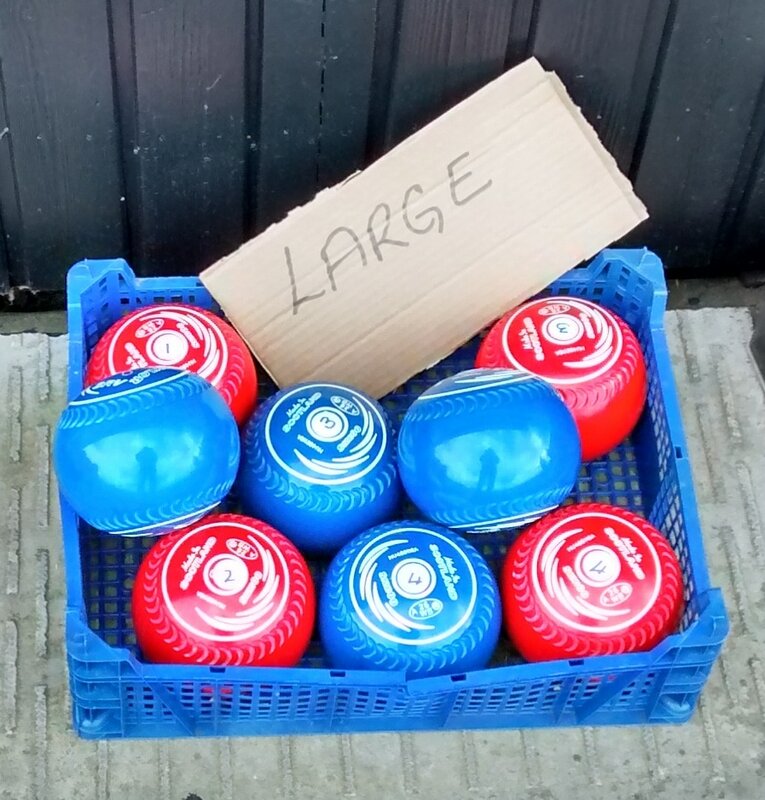 Also, for £500 in sponsorship money from Bristol Street Motors and Taylor Bowls for the gift of 3 sets of 00 bowls. The hope of forming a Junior Section didn't materialise, with only one girl and her parents coming along on the appointed Saturday morning, however, as the lady from the Bowls Development Alliance said – some 85 pupils had a go at bowls and they and their families now know of the existence of their local bowls club! 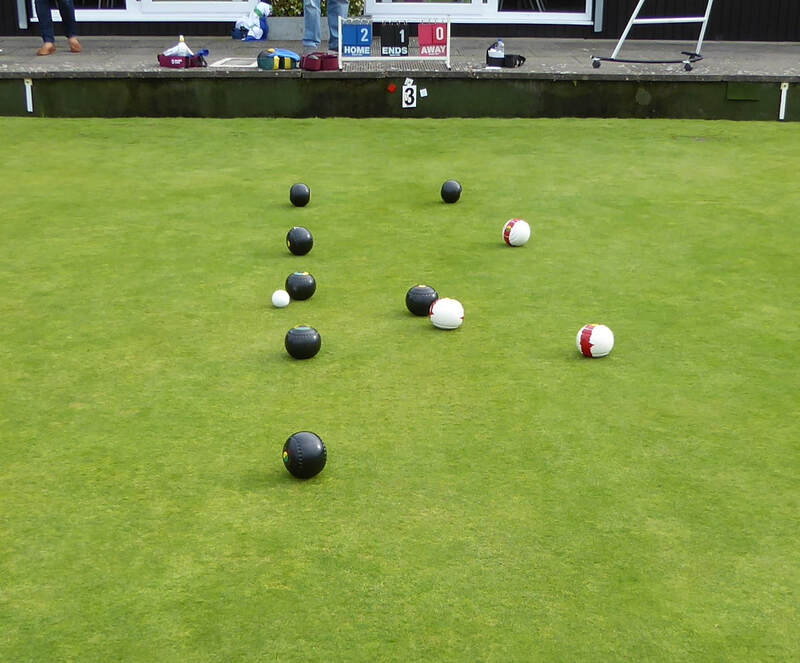 For the first time in our history we have had two groups of 10 year old pupils bowling on our green. 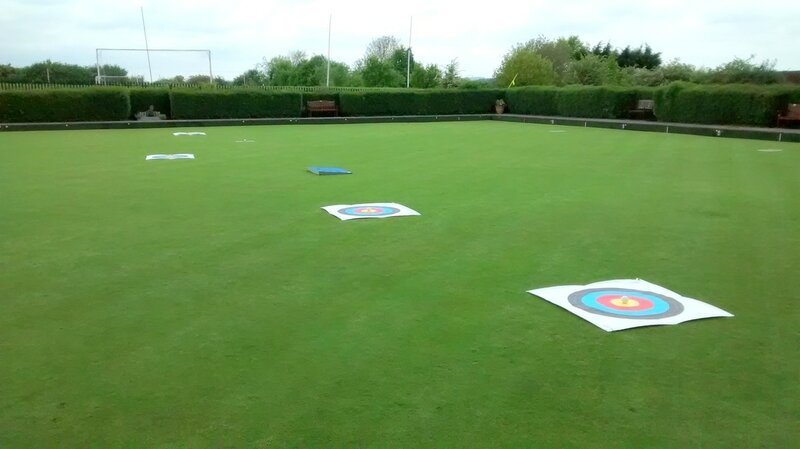 Two classes of around 26 pupils from St Mary's C of E Academy spent around 1 1/2 hours on the green each. Six rinks were set up each with a target and club members as instructors and scorers. The children, boys and girls, all showed great skill and soon mastered the basics. We do hope they all enjoyed their afternoon out and as many as possible are keen to join us on Saturday morning, 10th June at 10.30 am for our first ever Junior Bowls Club....and it's free. If you missed our Open Day, don't worry you are still most welcome to visit our green to try your hand at bowling. ​It's FREE with no immediate obligation to join. Just call Mike Bell on 01527 502016 to arrange a time. 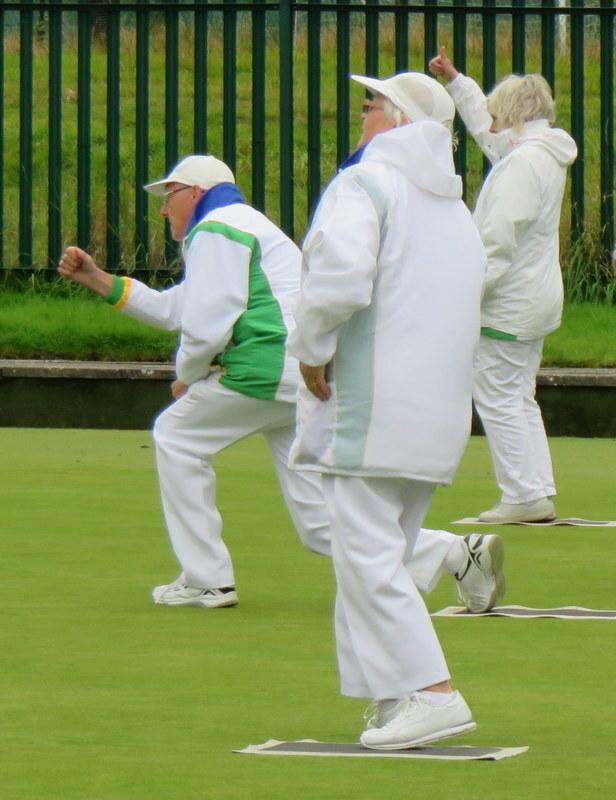 and then pop it in the Entaco Bowls Club slot! The more tokens the more funds we get. Runs from April 1st 2017 for 3 months. 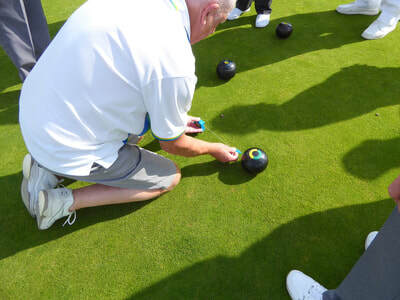 ​Go Raise free funds for Entaco Bowls Club whenever you shop online. 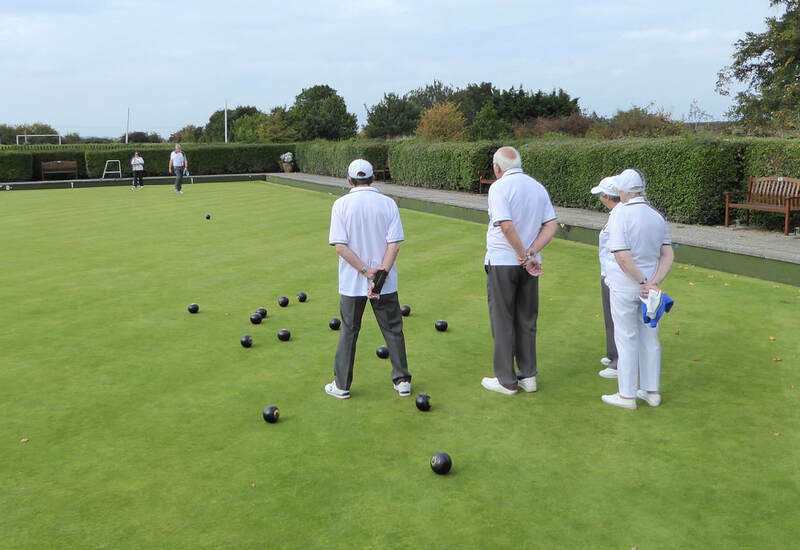 Simply shop as usual with all your favourite retailers and, as a thank you, they will donate a percentage of the amount you spend to Entaco Bowls Club, at no extra cost to you! Our 'Race Night' event this year managed to raise just over £850. A great contribution to club funds! Now an important annual event 'Race Night including a fish & chip supper' has proved to be a winner. Held at the Studley Sports & Social Club during early March and always well attended it is a date not to miss. 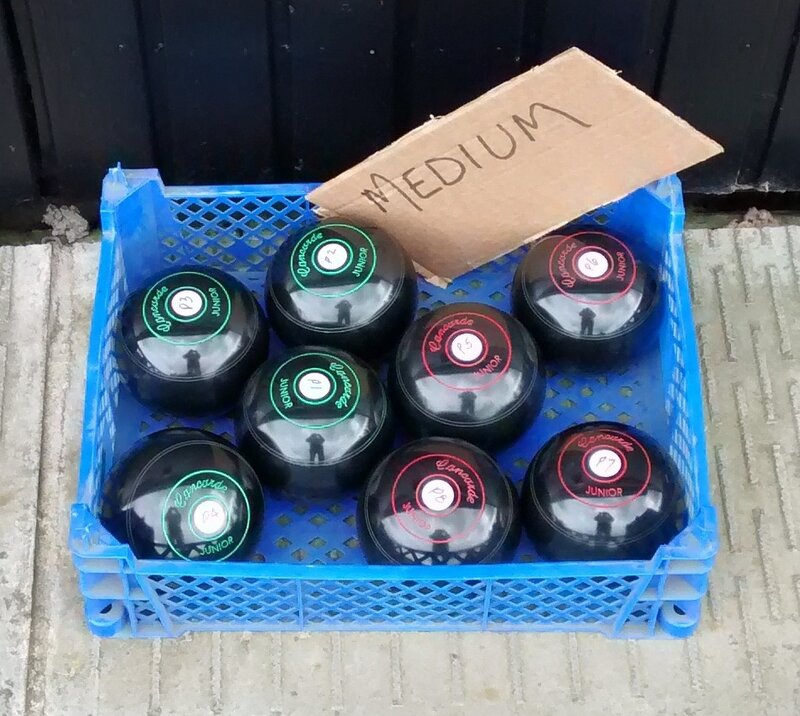 ﻿BRISTOL STREET MOTORS﻿ have donated monies towards equipment to help us encourage schools to try bowling at Entaco. 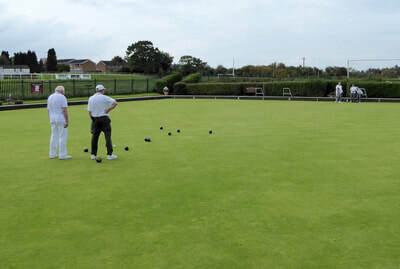 We already have four sessions of Junior bowling planned involving pupils from two Studley schools and plan to start a Juniors section if there is sufficient interest. Additionally TAYLOR BOWLS have donated three sets of small bowls to assist with our efforts to encourage the younger generation.